A cold night with the temperature this morning clocking in at 36F/2C but with sunshine warming things up. We were up at 7 am, loaded, and on the road by 8:20 am leaving Big Buck Resort in Hornsby, Tennessee behind. For my own personal information I should have turned right at the town square in Bolivar to reach I-40 instead of going further out to Whitesville, next time I'll remember that. This route would have been faster than the route we took. 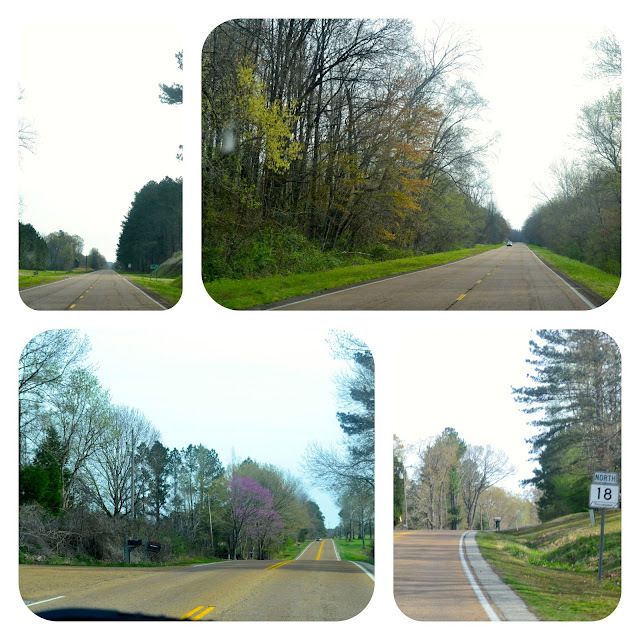 The drive was interesting, we traveled some back roads for a bit, TN 18 East, and TN 100 East as well come to mind. 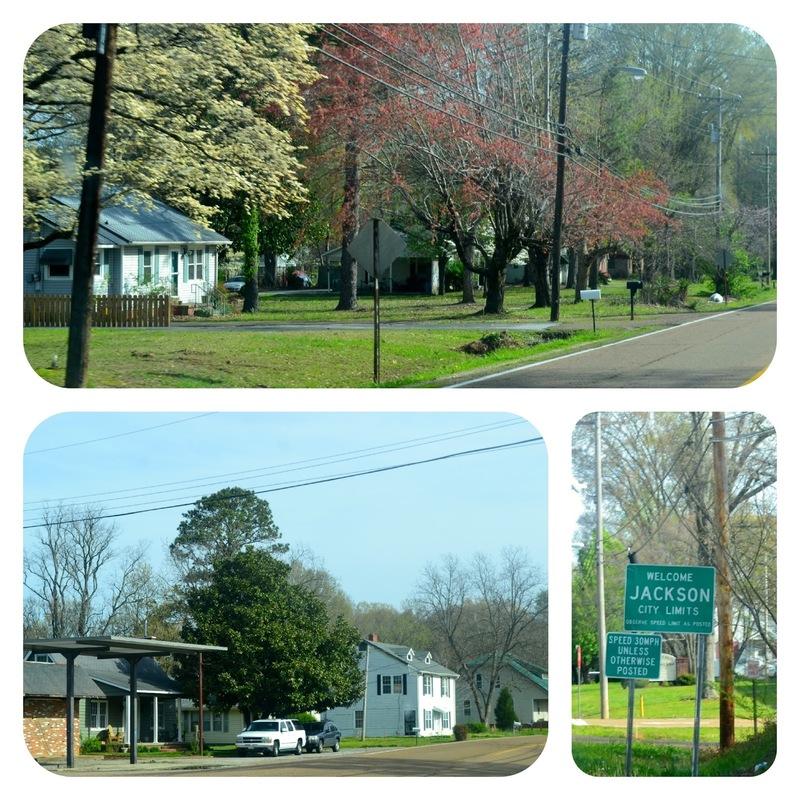 We remembered the town of Jackson, TN as we'd been there in the fall working with Verizon to get a new jet pack. They have an odd corner which I remembered as we were heading through town. Funny how certain things come to mind. 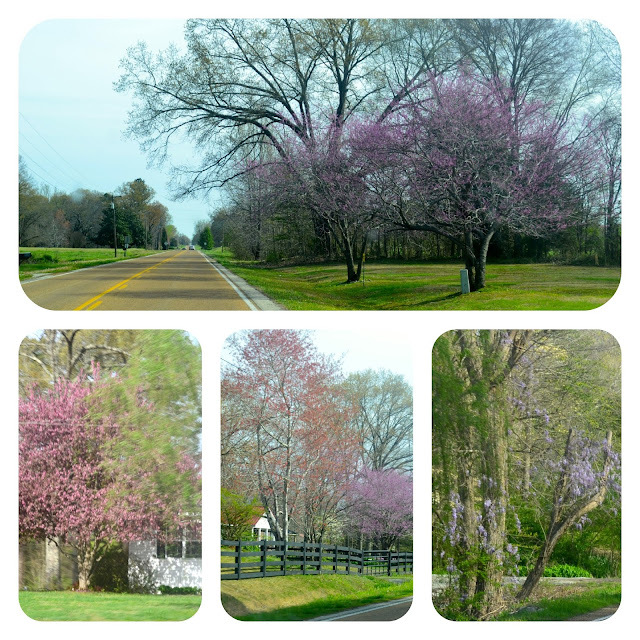 We've noticed spring has slipped a bit with the leaves not quite out as much as further south, and the blossoms are still just coming into full stride instead of having passed their prime. We also noted the overall area is just a bit behind in the spring like look as we motored north. Maybe it'll catch us when we stop for a few days. From Jackson, TN we jumped onto I-40 East for the remainder of the day. The travel was pretty good, not a lot of backups on our side but the other side had numerous LONG backups. We had one slow down due to an accident in the town of Jackson as we were approaching the split to head for the interstate. The first rest area on the interstate was closed and we headed on to the second one which I noted had lots of signs NO OVERNIGHT PARKING, 2 HOUR LIMIT and isn't very big to begin with and I think it would be extremely noisy as the spots are pretty narrow with very little room to spare. This is the first time I've come to Nashville from the west, or at least the first time I remember. 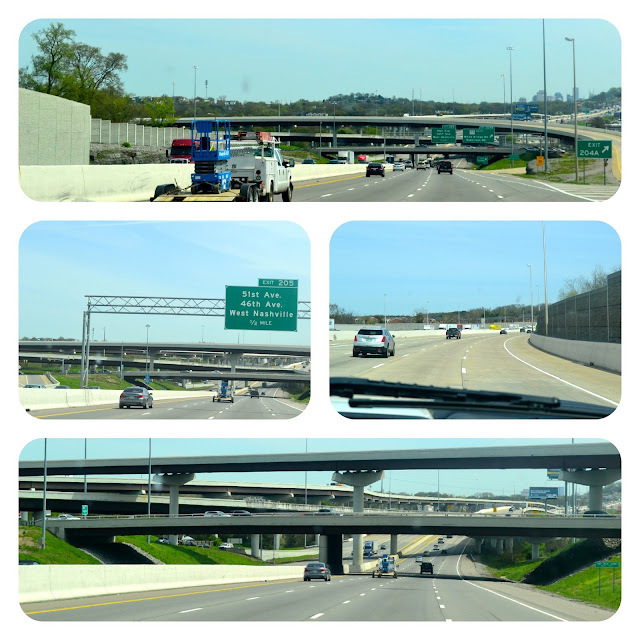 Nashville seemed much bigger than normal as we came west then turned north, instead of just a straight dash through the city. Lots of construction signs and a few back ups on the other side but none on our side. I forget where this was exactly but it's interesting. We passed into the state of Kentucky at 11:50 am and just rolled right along. 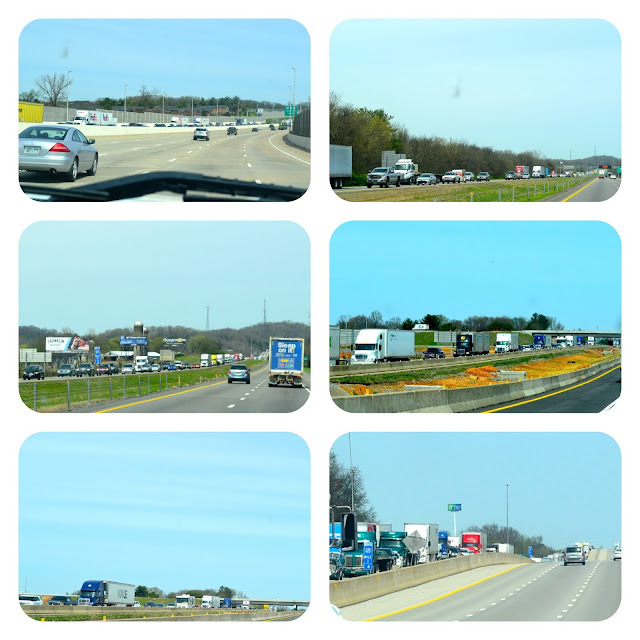 At this point the other side was backed up to a standstill that continued for over 7 miles on the Kentucky side of the state line but it was already backed up in Tennessee for at least a couple of miles. I truly didn't see anything that would have caused the back up but I'm certain construction was the culprit. We noted 4 different spots were the traffic back ups were quite substantial with the shortest being probably a mile. I do believe construction season is in full bloom!! We followed the gentleman's instructions with regards to NOT FOLLOWING THE GPS, and instead followed written instructions to the campground location. Sure enough the GPS would have had us turning the wrong way at the exit for the interstate. This is a Passport America park and so we followed those instructions to the letter and found the place with no issues. We're quite high up the side of the mountain, and we have iffy AT&T service here. We had to restart both phones in order to get any signal at all. Even with the booster it's not great. I haven't checked our Verizon as they have excellent free wifi in the park. Two different feeds and with all of the folks here I'm sure they need it. We checked in with a nice lady whose name I think is Laura (but I could be wrong), who was extremely helpful and chatty. A very nice setup here very close to the little village of Cave City. 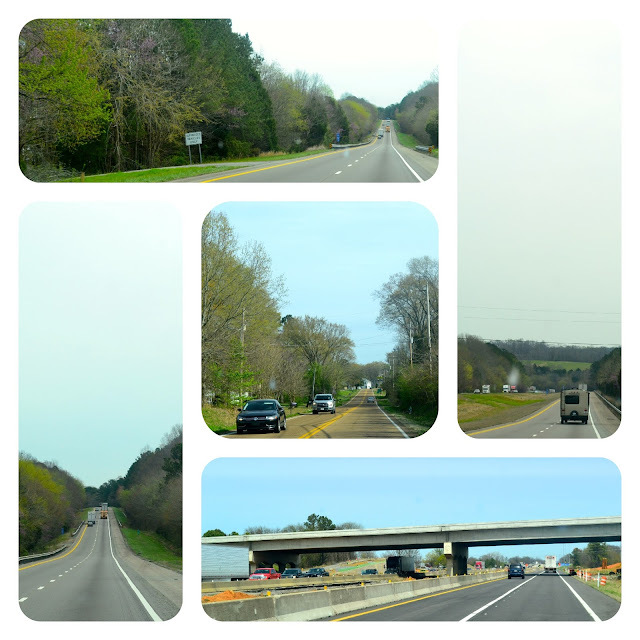 We are close to the caverns, the dino museum and a number of other things as well. Too bad we're only going to be here for 2 nights, it would be a nice place to explore I think. We aren't far from Bowling Green, KY where the Corvette Museum is located and if time permitted I would definitely go there. The day time highs reached 55F/12 C this afternoon. No breeze but some on and off sunshine which is nice when it's out and cool when it isn't. No sewer here in our spot but some folks have sewer hookups. We turned at the dump station to get to our spot we at least know where it is if we need it on the way out. It was a tight fit and I had to give it a couple of tries before I managed to get us in on the skinny little gravel path. Some folks standing around watching weren't very helpful in that they stood very close to the road with dogs and kids and it made it difficult to pull up as far as I would have liked. However, we managed and everything is fine. I'm glad we could be their entertainment for the afternoon. We are in spot 18 with a little foot bridge behind and our picnic table is across a small ditch which I believe is an overflow for some kind of little pond. We were set up by 3:00 pm and of course I called my dad to tell him we'd made it safe and sound. The first couple of calls he couldn't hear me and then I realized the signal was extremely weak, so we rebooted, turned on the booster and managed to get a connection. He said it is right around the freezing mark of 32F/0C and in the sun things are melting, in the shade they aren't. They have about a 1ft/30 cm of snow which they received over the last couple of days/nights. Schools were closed and people were told to stay off the roads. A number of accidents have claimed lives in the greater Sudbury and surrounding area over the past few days. Some folks just don't know when to slow down and unfortunately they don't always do the 'stupid' thing alone and end up causing tons of grief for many others as well. So after a chat with dad I started to edit pictures and write this post. The sun is kind of shining and the temperature is still hovering at the 55F/12C mark. We have the big door open but I think I'll be closing it soon as it's a bit cool on the toes. So there you have it, the roads were good, the traffic heavier and heavier as we continue on our homeward journey but not too bad at all. The construction seems to be concentrated on the south and/or west bound lanes right now and I'm hopeful it will continue to be so for the rest of the journey. We will be here only 2 nights before moving on for a weeks stay in Quincy, OH. While outside to set things up for the heater we chatted with a couple from Colorado who said it's warmer back there than it is here. They've had snow here and a tornado warning as well. According the lady there is snow in the forecast but I didn't see any a few days ago. I'll have to check again soon. Again that same river but it's pretty full..don't you think? That was our travel day, nothing exciting and we like it that way. Good weather, good roads and an easy drive, what else could one ask for? Thanks for stopping by, I hope you enjoyed your visit. Feel free to leave a comment. I appreciate hearing from you. Glad you had a good travel day the cavern are nice to see if you can and we loved the Corvette museum another nice stop as well. Continued safe travels enjoying the journey. Thanks George. We will keep those things in mind. Nice pictures today and I enjoyed your blog but when you mentioned that you were close to the Corvette museum you really got my attention. First you passed on Graceland and now the Corvette museum , your killing me here .Well what ever you do I hope you have a good time and safe travels . Vern in Boise ID. Thanks for stopping by and commenting. You gave me a smile and chuckle on this Friday morning! Glad to read you had a good travel day and arrived at your next destination safe and sound. 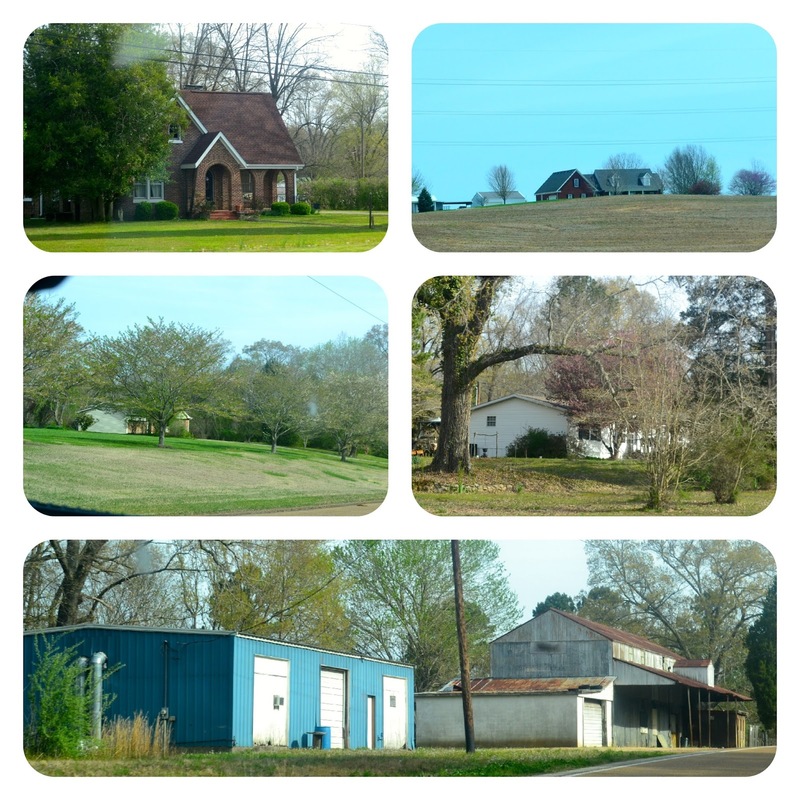 Great pictures of your travel day. You mentioned spring had slipped a bit...One of things Tom and I always talk about has we head north is it is like seeing spring in reverse as we travel north. Stay safe. When I've travelled in past years I have always said that I pull spring along on the bumper. As it eventually catches up to me when I reach my destination. It is the one thing I've always enjoyed every year that spring lasts so long for me when I travel back from the south or in this case the west. This year I'm going to wait in Ohio for it to catch me though. Sounds like you had a great travel day and we're glad you made it safely. We think construction is inevitable, sometimes worse than others but not much we can do when we're caught in it. You're coming home the way Bill and I talked about but realized our cash flow wasn't going to be enough to take advantage of the things we want to see this year. Graceland and now you mention the Corvette museum. Hopefully we'll follow a similar route down this fall. Stay safe, enjoy the park but I hope the snow stays away for you. Yes, definitely a back slide to spring here too. Thanks Patsy. You sound like Vern. He's hurtin' because I didn't do either of those things. I'll have to do better next year I guess. It's a nice route, a bit hilly and twisty but not too bad. It is a bit windy due to the mountains and the crosswinds and you will feel it on the rig no matter what the weather or at least that's been my impression in the 5 years I've towed through this area and even before I towed I thought the same with my Volvo SUV. The only other thing I don't like is the city of Cincinnati. NO offense to anyone but I-75 is very narrow, twisty and rough in that area. The speeds people drive there are insane for the conditions and construction is a never ending thing. In the 20 odd years I've travelled through there I don't ever recall not having even narrower lanes in some places due to construction and usually always on corners. Again that is just my opinion. They are calling for rain tonight turning to snow by morning but hopefully it doesn't last too long or doesn't happen at all. It is that time of the year though and we must take what we get. However I'm a fair weather driver and so I won't be doing any driving if I think it's not going to be a good drive. Boy that traffic on the other side gives me the heebie jeebies! 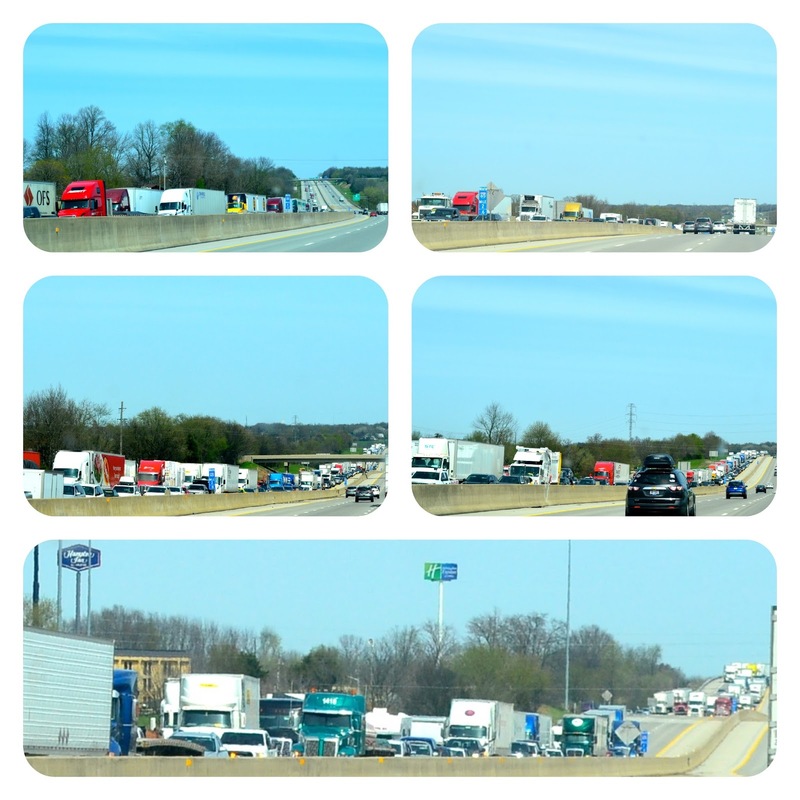 Too many trucks! Glad your day was uneventful..you sure got some pretty pictures! You had me laughing with you talking about being entertainment for the day :) Hope by the time you get home, most of the snow is over! Enjoy your days there! Is that Mammoth Caverns? It is something else! Thanks Shirley. The traffic on the other side was scary. I was just hoping we don't hit anything like that and so far we've been very lucky. I'm guessing some of that stuff wouldn't clear for at least an hour or more. Nothing puts a crimp in the travel day like a slow down that isn't expected. Tons of trucks, every where you look. The forecast looks good for as far as I can, but of course it could change at any time. However we have a few options if the weather gets bad. So I'm not too worried. We are just down the street from the Mammoth Cavern according to the check in lady. She said all the tours are full ( I have no idea how she knows that) but that there are other things to do at the caverns as well. Nice park with tons of information at check in, very helpful but I'm not sure I would come back as it's pretty tight quarters. Maybe a pull thru spot would be better. I could hear the furnace in the airstream beside us going on and off all night. It's the reason I love to dry camp.